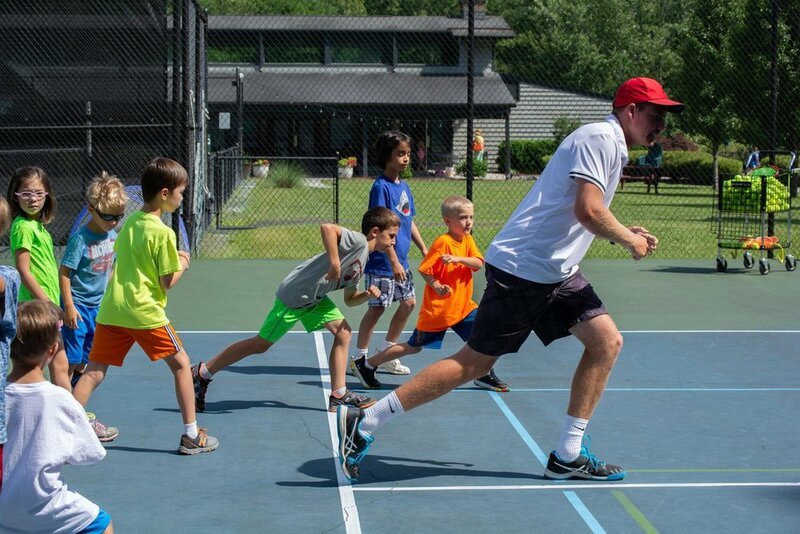 Hollow Rock Racquet & Swim Club offers a pathway for junior tennis players to start at a very early age to develop their interest in tennis and reach their full potential. Whether your child starts as a 3-to-5 year old in our Under 5’s program, or decides to pick up the game at a later point, we have it covered. Our clinics give junior tennis players, 18 and under, a chance to learn new skills in a group setting. This is a great way to improve your tennis and play against other players at the same skill level with similar goals. Our junior program is run by an energetic team of International coaches who are dedicated to performance, building a love for the game, and development in each player, a character of respect and pride for themselves and others. We know that achieving your best tennis game, is about more than just footwork and stroke production. Please check out our Rules and Regulations here. We have clinics for all ages and levels of skill. Whether you are trying to get on a high school team, trying out for college, or just starting to learn tennis, we have a clinic to help you get there. For anyone new to Hollow Rock, you can meet with one of our certified tennis professionals and they will evaluate your level and find the clinic that is right for you. The club may require a play test with a professional for placement. We ask that you please respect the professional’s evaluation in matching you with other players. We do require an active membership on file (minimum Junior Tennis Membership). If you are interested in registering and have not joined the Club, please contact us now. Introduces children to the hand-eye coordination needed to play tennis. We use the 36’ court with the red compression balls based on the USTA Quick start program. This group is for the player who wants to compete in USTA tournaments. To be considered for this group a player must have the pro’s recommendation. Strategy, footwork and technique along with live ball progressions are the theme. These players typically train to play competitive tennis throughout their junior career. To develop technique, athletic skills and court coverage - critical for success in having consistent rallies as well as point play. Variety of fun, competitive games used to develop a strong foundation of fundamentals. To be considered for this group a player must compete in USTA sanctioned competitions and have the pro’s recommendation. These players will learn tactical play along with the core principles of play. We will be adding more fitness and mental work to help enhance their on-court performance. Emphasizes the fundamental techniques for a player first coming into the 78’ green ball court. Focus is placed on proper technique and learning basic footwork patterns. Players are taught how to rally, score and differentiate tactics between singles and doubles. For the high school player looking to play higher tennis on their team. The Monday and Wednesday classes will focus on singles and doubles strategies.